@member berry, idk, knowing my mom's sense of humor, this seems very plausible. 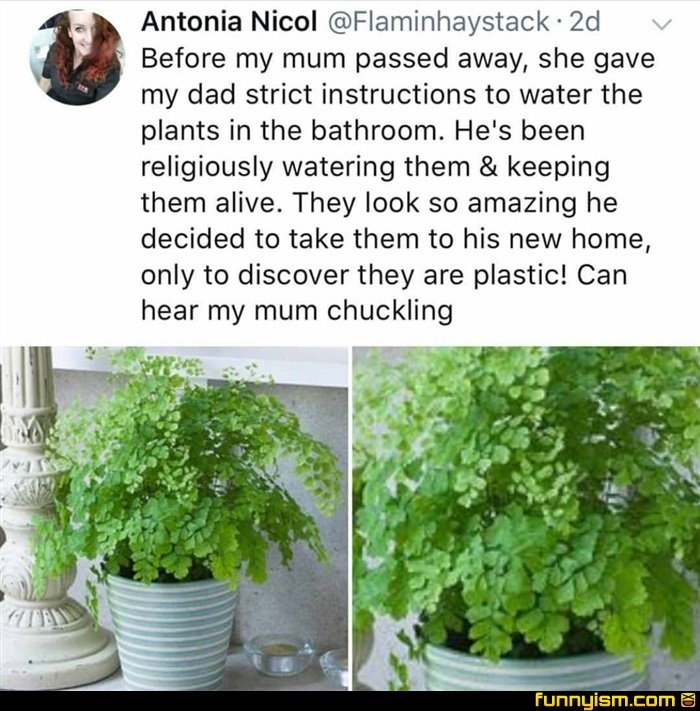 Nobody could be that dumb how do you water a plant every day and not notice there is no soil the leafs never fall off or change color. I highly doubt this is a true story..... I’m fun at parties. @The Collector, right and... didn’t the pots eventually overflow with water? Next time I see you at a party we def. will hit it off.